Celebrate thirty years of the world's most notorious rock band with the deluxe collectors' edition of The Dirt-the outrageous, legendary, no-holds-barred autobiography of Mötley Crüe. 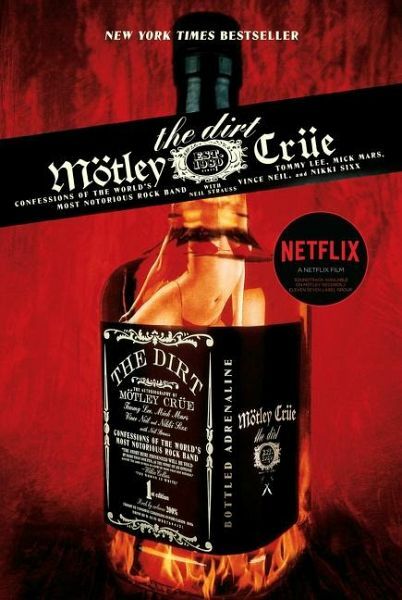 Fans have gotten glimpses into the band's crazy world of backstage scandals, celebrity love affairs, rollercoaster drug addictions, and immortal music in Mötley Crüe books like Tommyland and The Heroin Diaries, but now the full spectrum of sin and success by Tommy Lee, Nikki Sixx, Vince Neil, and Mick Mars is an open book in The Dirt. Even fans already familiar with earlier editions of the bestselling exposé will treasure this gorgeous deluxe edition. Joe Levy at Rolling Stone calls The Dirt "without a doubt . . . the most detailed account of the awesome pleasures and perils of rock & roll stardom I have ever read. It is completely compelling and utterly revolting." Born Frank Feranna, Nikki Sixx grew up in Seattle and moved to Los Angeles at the age of seventeen. There, in 1981, he became the bassist for Mötley Crüe, the legendary rock band he started with Vince Neil, Mick Mars, and Tommy Lee. Today he is the New York Times bestselling author of The Heroin Diaries and This Is Gonna Hurt, and a coauthor of the Mötley Crüe book, The Dirt. Nikki Sixx is also a nationally syndicated radio host of Sixx Sense, writer, artist, photographer, and still loyal member of the Crüe. Mötley Crüe is Nikki Sixx, Vince Neil, Mick Mars, and Tommy Lee. Multiplatinum recording artists, international rock stars, and legendary raconteurs, Mötley Crüe defined a generation.